Monitoring app analytics help you optimize certain elements of your mobile app and it also gives you the proper insight to plan your marketing. Without a mobile analytics package there would be an absence of the necessary data needed to help you improve your app. If you are an app developer or publisher looking for a analytics tracking package to help optimize and improve your app, here is a list of the 10 best mobile tracking service packages. Appsee is a comprehensive mobile analytics tracking package that is geared towards helping you improve your user interfaces and user experience. It includes features such as heatmaps, conversion funnel analysis, crash recordings and much more. 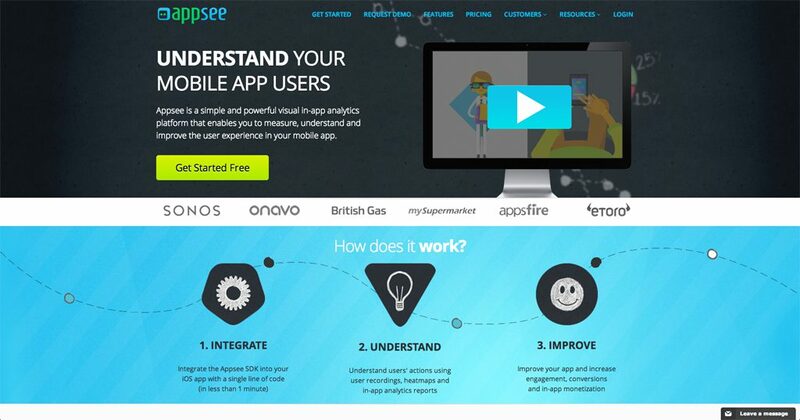 Appsee offers a free demo to those that are interested in their services but would like to know more. Mixpanel elegantly blends great design with fantastic tools. 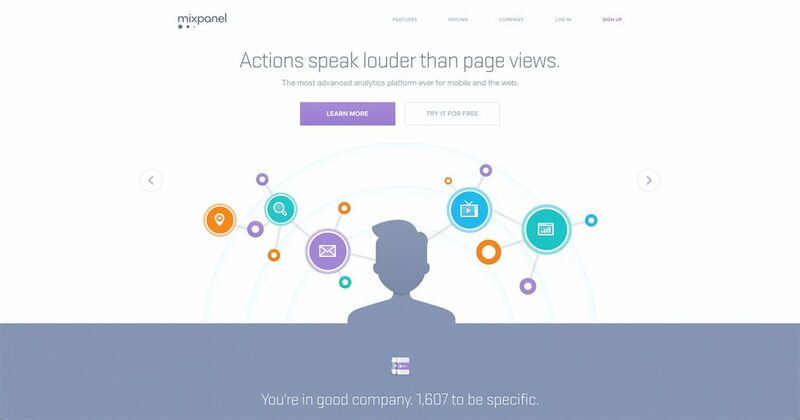 If you are more of a visual person than you will appreciate Mixpanel’s colorful graphs and infographics. Don’t be fooled by Mixpanel’s whimsical appearance, it is a professional quality analytics tracking package that contains advanced marketing statistics. Google Analytics is a great free service, and now Google are offering their world renowned analytics services to app and mobile developers. 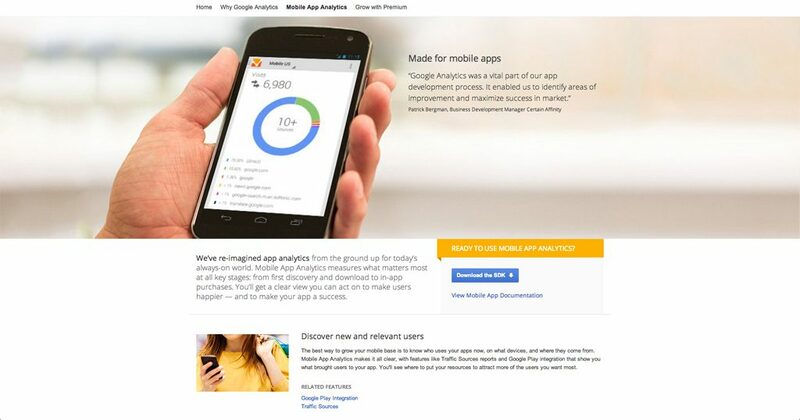 Get access to all the tools and stats you’ve grown to love and more with Google Mobile Analytics. 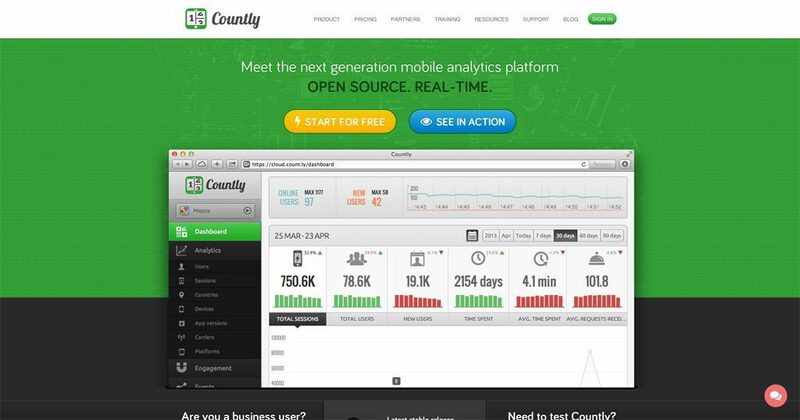 A self-proclaimed “next-generation mobile analytics platform”, Countly gives you up-to-date and accurate stats. Countly offers true real-time on multiple platforms giving you the competitive edge that you need to succeed. Intuitive user managements means Countly is great for collaborations or organizations who need to share access to multiple users. 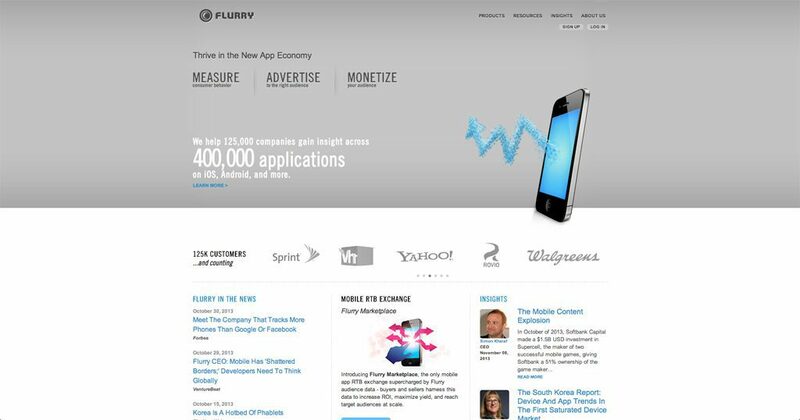 Flurry mobile analytics is a free professional grade mobile tracking package. Gain insights to how your app is being used and by who. You can assign “Events” which are unique actions that users complete on your app to monitor exactly how users are interacting with your app. Flurry has great support for big data so you never have to worry about scalability. 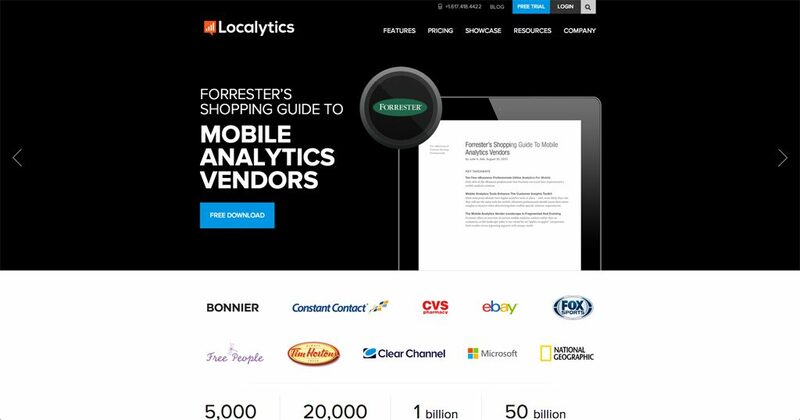 Localytics is one of the big names in mobile analytics tracking. Having worked with companies such as ESPN, 2K Games, Microsoft and many other well known brands, you can trust that Localytics will bring you a top quality service. Localytics supports all major platforms including iOS, Android, Windows Phone, Blackberry and HTML5. 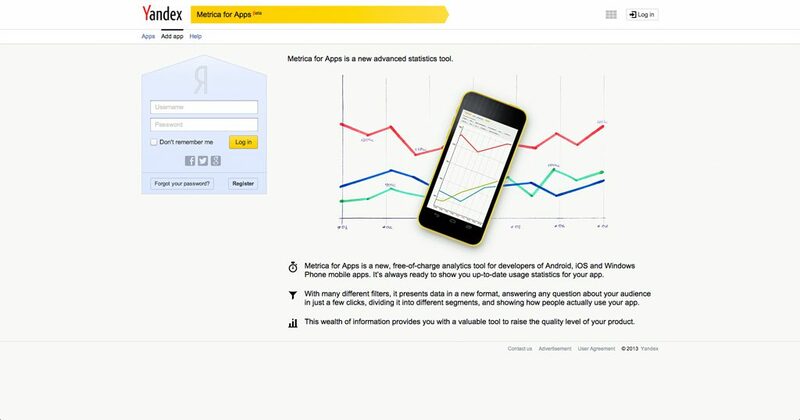 Yandex.Metrica is a new free to use mobile analytics tool. Yandex.Metrica aims to divide the huge amounts of analytical data into different segments, allowing users to easily digest and understand their data. Tracking over 3.2 billion downloads per month, Distimo has an extensive list of customers which include clients such as Zynga, BBC, Paypal and Amazon. 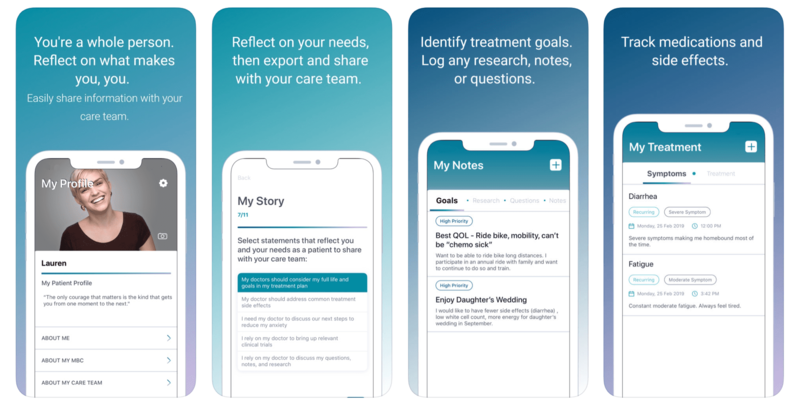 Distimo also comes in an app form so you can pull up your stats whenever you need them. 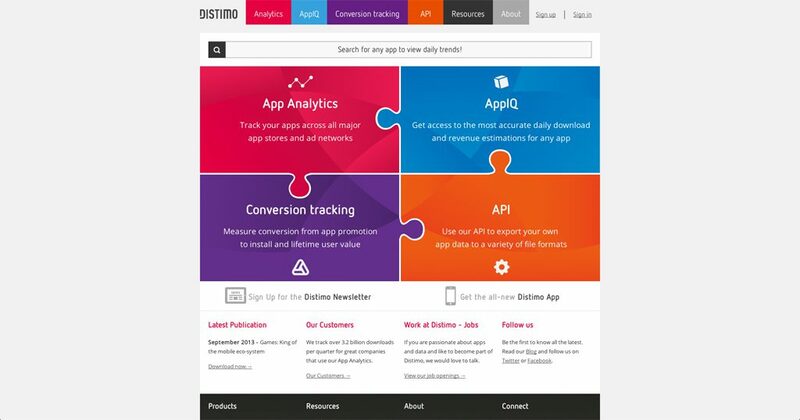 Distimo is completely free, however to gain access to competitor stats (for a competitive edge) you will have to sign up to AppIQ, which is a paid service. 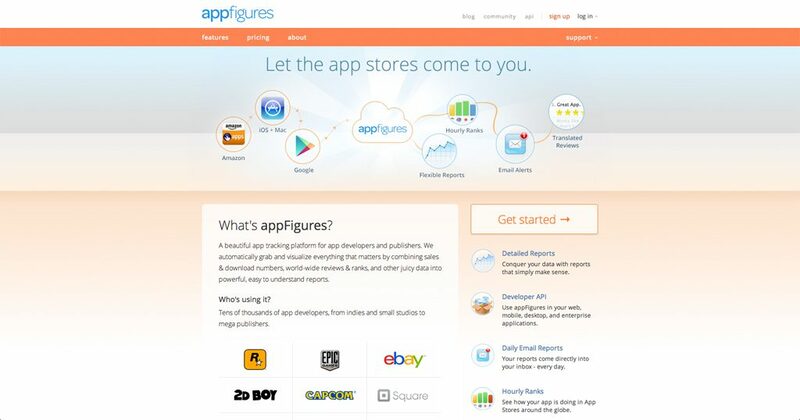 AppFigures is geared towards professional app developers and publishers. Working with a wide range of clients including small indie studios to large publishers, AppFigures provides the necessary reports and stats to help you improve and track your app. Features such as Worldwide Ranks, Event Tracking, iAd Integration and much more are available within the package. If you are really concerned about how well your app is doing on the major app stores such as iTunes and Google Play, then you should consider using App Annie. 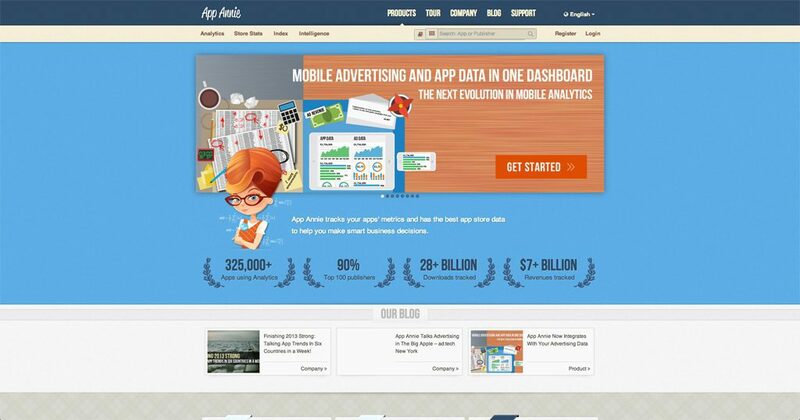 This analytics tracking package was put together to give app developers the most complete service for their online mobile store/app. Whatever package you choose to use, we recommend that you read over all the details and email the companies any questions you have. Also unless you understand how to decipher the statistics into useable information, you might not be fully benefitting from your analytics tracking package. If you feel like this is the case, you might want to brush up on some user experience and marketing topics to help you make sense of the data that you collect.